Histopathology Ontology was initially developed in the framework of the eTOX consortium, aiming at the standardisation of the histopathology findings, and it is now made openly available. It is a key enabler, making searches possible on one of the most important data types in toxicology studies. 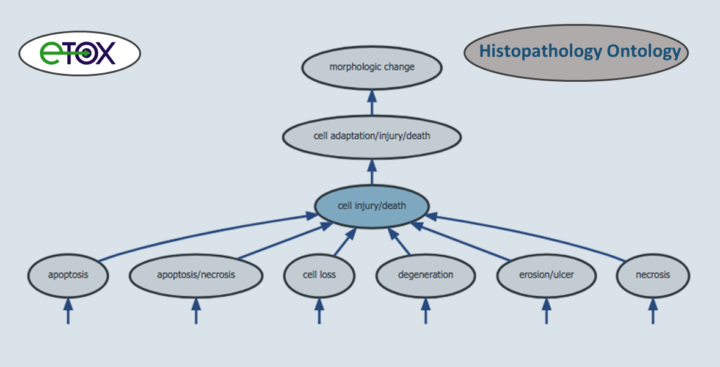 An ontology of histopathological morphologies is used by pathologists to classify/categorise animal lesions observed histologically during regulatory toxicology studies. The ontology was developed using real data from over 6000 regulatory toxicology studies donated by 13 companies spanning nine species. The ontology has been developed by Novartis in the framework of eTOX project. eTRANSAFE will also benefit from this achievement, as ontologies are important for data integration and harmonization. Although not directly requested, applicants would be wise to comment on why the particular achievement/trait/interest read full info here they share would be a pleasant surprise, i.